LinkedIn announced last week that it would no longer allow tweets to automatically update to its feed. For many this is perhaps either a blessing or, “what are you talking about” but what does this mean to these two major players and to you? even if this meant postings in the typical Twitter cryptic way. My early attempts to push items to Twitter and LinkedIn were not met with much applause. 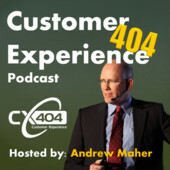 Some of my LinkedIn contacts told me that they did not want to see me pollute their LinkedIn feed (which was mostly dead) or that they could not make sense of my 140#LI #custserv #somethingoranother messages. Simply put, the Twitter and LinkedIn crowd are there for two different purposes and not respecting this was one of the biggest failures to be made. It seems that LinkedIn has now figured that out as well. So, what changes now? What will your newsfeed on LinkedIn look like without all the hashtag glory? Will it be a quieter, more purposeful place for learning about your industry partners and the moves in the business space? I don’t think so. Sure, there will automatically be less hashtaggery going on as many who had their accounts linked will not repost now on both sites, but then many had little to really share across both which had similar value to each. We will see more “ads” in our LinkedIn streams. They were already there but often lost in the masses. Does this effect Twitter? No. Twitter never needed this integration. Again, it was there to benefit the other party and it did bring more attention to their feed but there was little reciprocal love being shown. Does this mean the end of cross postings? No, unfortunately not. There are many other ways to get this done. Using third party apps allow one to post to a whole slew of accounts with one press of the ^enter^ key. Also sites with features like If This Then That IFTTT can do similar. So, what does this all really mean? Well, LinkedIn has concluded that this experiment has not worked out well for them and it is time to move on. But will anyone really notice? What will change in your use of Twitter and LinkedIn? Will you continue cross posting to both? Do you have another position? Let me hear it. 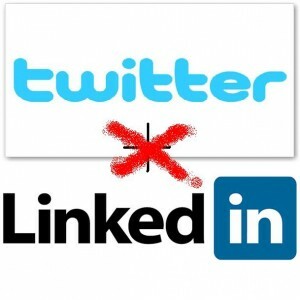 One Response to Twitter <> LinkedIn Love is over; who wins?